210-AY Multiple Battery Connector A simple, safe and affordable way to connect 2 batteries simultaneously for easy battery maintenance1. Use in conjunction with BatteryMINDer® units designed to maintain multiple batteries. Features 3 in-line, replaceable 15 Amp fuses to keep each connection protected against potential short circuits. Each end features an automotive SAE "bullet" connector with cap. Connect the duel cords to your batteries via Ring Terminal Assembly, Battery Clips, or Insulated Battery Clips (sold separately.) Includes two 15 Amp fuses, to be used to replace the fuses in the battery connector assembly (Ring Terminal assembly or Battery Clips) if they are not 15 Amps. Combine with additional Y-connectors to add even more batteries (up to 8 batteries, depending on the unit) to capable charger systems. 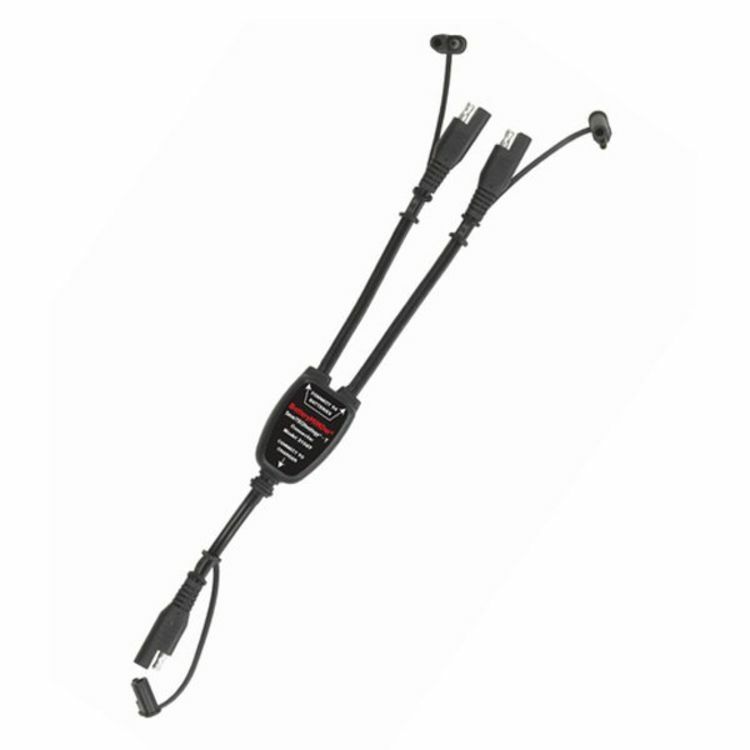 *ALL batteries MUST be CHARGED INDIVIDUALLY and properly tested to ensure they are in good condition (no dead-dying cells or excessive sulfation) before using this 210AY battery connector to maintain them in multiples. Only healthy, fully desulfated batteries should ever be MAINTAINED in sets of 2 or more. One unit can maintain up to two batteries. More Y-Connectors required if wanting to maintain more than two batteries. Please see Manual to determine how many batteries your charger can maintain, and how many Y-Connectors are required. Do you own the 210-AY? Please, tell us what you think about it. It helps us provide you with better products. Please note that it may take up to 72 hours for your review to appear.